Friday night's would-be robber, wearing a mask and green hoodie, fled on foot before getting any money from the West Front Street Market. 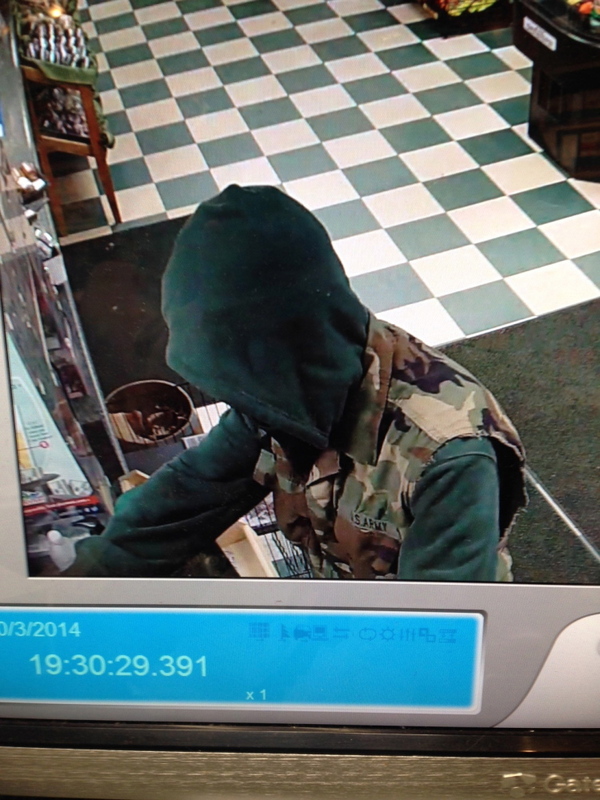 Police over the weekend were still looking for the man who tried to rob a Skowhegan store at knifepoint Friday night. Skowhegan police Officer Ryan Dinsmore said Saturday police will release information about the case as it becomes available. “There’s no new information at this time,” Dinsmore said. The would-be robber fled on foot before he got any money in the 7:30 p.m. attempted robbery, though police had no information about why he did. According to a news release from the Skowhegan Police Department, a man pointed a knife at the clerk and demanded money at West Front Street Market. The man appeared to be about 6 feet tall and thin, according to the release, and was wearing a black neoprene mask, a dark green hoodie with a sleeveless army camouflage shirt over it and camouflage pants. Before anything was taken, he fled the store in the direction of Main Street. Several officers from the Skowhegan Police Department, the Somerset County Sheriff’s Department, the Maine State Police and the Maine Warden Service responded. Franklin County Officer Chris Chase assisted with his police dog, tracking the would-be robber from 68 West Front St. to Main Street to South Factory Street before the scent was lost. Skowhegan police ask that anyone with information call the department through the Somerset County Communication Center at 474-6386 or call their anonymous tip line at 474-6915.